Franz Liszt was born in Raiding, Hungary in 1811. • Known for his incredibly virtuosic piano works, it is no surprise that Franz Liszt showed early promise for being a talented musician and composer. He began writing music only a year after beginning to study music. • Liszt’s flamboyant music was inspired by his unwavering admiration for composers such as Chopin, Berlioz, and Paganini. • You’ve likely heard the term “Lisztomania” thanks to the French band, Phoenix. It was real! 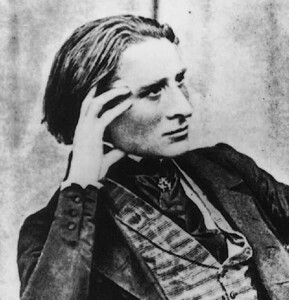 Franz Liszt was a total stud and women fawned over him. Fans would attend Liszt’s concerts and grasp for any Liszt artifacts they could get—handkerchiefs, cigar stubs, coffee grounds—anything. 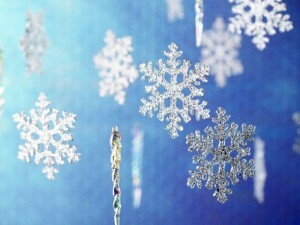 “Chasse-neige” depicts a whirling snowstorm. One that buries the landscape as it goes. What do you picture when you listen to it? 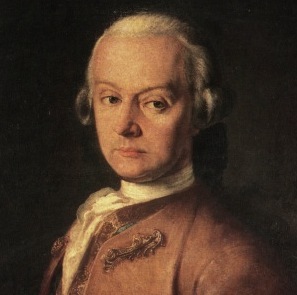 Leopold Mozart was born in Augsburg, Germany in 1719. • He was an accomplished violin teacher who put his career aside to foster his son’s professional advancement. • He also worked as a court musician for the Archbishop of Salzburg for most of his life. “A Sleigh Ride” is wonderfully fun wintertime piece and a popular children’s classical work. Don’t worry. It isn’t nearly as serious as this guy looks in the above photo. Hear those sleigh bells ring! 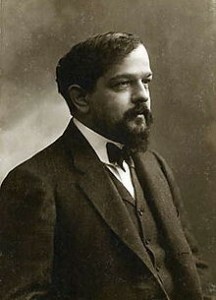 Claude Debussy was born in Saint-Germain-en-Laye, France in 1862. • Growing up, Debussy was largely an autodidact and didn’t study in school other than taking music lessons. • He won the Prix de Rome (a prestigious scholarship for a years-long stay in Rome) in 1885. At age 23! Go, Debussy. • Debussy was known for his creative harmonies. See if you can spot some of them in this piece! 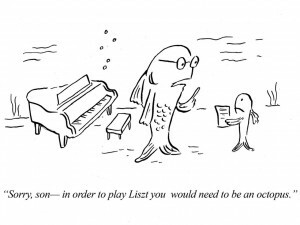 Just for fun, a cartoon by Pablo Helguera, inspired by Liszt’s etudes highlighted in this playlist!